The current special issue of the Royal Studies Journal is about royal tours in the modern era. While many of us who study monarchies specialize in ancient, medieval, or early modern history, there are a number of monarchies alive and well in today’s world. The maps below highlight the world’s current monarchies. The first map shows the 16 countries of the British Commonwealth that recognize the monarch as head of state (the larger Commonwealth consists of over 50 countries) and the 29 other countries with monarchs. The second map is a simplified version of the first: it provides country names but many smaller principalities were left off the map. The 16 Commonwealth Countries with a monarch are: the United Kingdom, Canada, Australia, New Zealand, Papua New Guinea, Solomon Islands, Tuvalu, Antigua and Barbuda, Bahamas, Barbados, Belize, Grenada, Jamaica, St. Kitts and Nevis, St. Vincent and the Grenadines, and St. Lucia. The 10 monarchies in North America are all part of the Commonwealth. A close-up of the monarchies in Oceania. All but the Kingdom of Tonga (green) are part of the Commonwealth. Current monarchies in Africa are Lesotho, Morocco, and Swaziland. The current monarchies in Asia are Bahrain, Bhutan, Brunei, Cambodia, Japan, Jordan, Kuwait, Malaysia, Oman, Qatar, Saudi Arabia, Thailand, and the United Arab Emirates. The current monarchies in Europe are Andorra, Belgium, Denmark, Liechtenstein, Luxembourg, Malta, Monaco, Netherlands, Norway, Spain, Sweden, United Kingdom, and Vatican City. The only continents without any monarchies are Antarctica and South America. Asia and Europe are tied for the most monarchies, with 13 each. *All maps were made using Mapchart.net, which is an extremely fun resource! New Website for the Royal Studies Journal! The Royal Studies Journal has moved to a new and improved website! Please visit at https://www.rsj.winchester.ac.uk/. To help you navigate the new site, Ellie Woodacre has kindly recorded a video. Please view it here. We have a new website because Winchester University Press has teamed up with Ubiquity Press, a leading open-access publisher. Joining forces with an established open-access publisher keeps the journal at the forefront of scholarship and streamlines access to both current and back issues. students in a highly competitive professional research environment. A new issue of the Royal Studies Journal is out! Already the fourth issue dealing with all topics on Royal Studies, and showing the breadth of the field in its articles and book reviews. Enjoy reading about the complicated, and ultimately failed, marriage negotiations between the two branches of the Habsburg family in the second half of the 17th century, and their influence on a major dispute like the Spanish War of Succession. This article by Rocío Martínez López won the 2016 RSJ/CCCU article prize. Also, learn more about the new prizes for articles and books in the statements from Lois L. Huneycutt and Zita Eva Rohr. Don’t think, this is all we have for you: there is even more to learn from Talia Zaja about the Rus-born queen Anna Yaroslavna of French king Henri I, and new sources are being examined by Gordon McKelvie on the reception of the bastardy of Edward V.
Summer time is upon us and with it reading time: check out the book reviews from English, German, French and Spanish books on Royal Studies. Let us know what you think about this new issue! If you have an article for the Royal Studies Journal, see our submit-page. 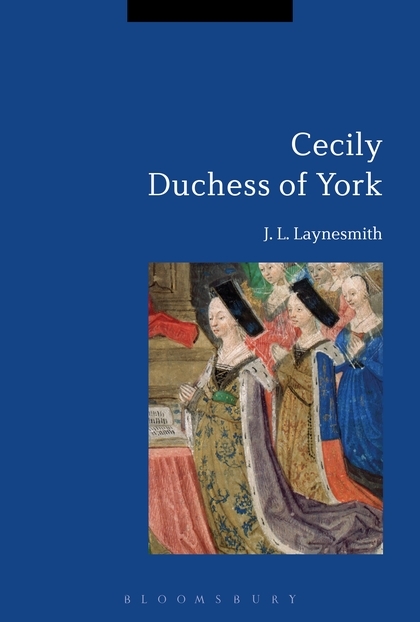 Know a Royal Studies book you would like to review? See here for further information on getting your review into the Journal. And finally, keep a look out for our interviews with the authors of this issue, and learn more about their research. A new issue of the Royal Studies Journal is out! Read about Odet de Foix in an article by Philippa Woodcock, and about biblical analogies of Elizabeth I after her death in an Article by Aidan Norrie. Also, if you are still looking for something to read for long winter nights, or to put under the christmas tree, check out the book reviews. Let us know what you think about this new issue! If you have an article for the Royal Studies Journal, see our submit-page. Know a Royal Studies book you would like to review? See here for further information on getting your review into the Journal. And finally, you can also nominate the best new book in the field as well as best new work by an early career scholar. The Royal Studies Network and the Royal Studies Journal both grew out of the initial Kings & Queens conference in April 2012. The surge of interest and proposals that the call for papers from the original Kings & Queens conference produced, convinced us that there was a real gap in the field – that there was a group of scholars who were working on royal themes but had no academic forum to share their research. Three years later, that forum is well established and the concept of a discrete field of ‘royal studies’ has begun to be acknowledged. However, as a field which is only begun to be clearly established, there is a lack of clarity, both within and beyond the field itself, as to what exactly ‘royal studies’ entails. What we aim to do here is to open a discussion about how we define, or want to define, what royal studies is. I have always argued that it should be as inclusive as possible in terms of discipline, temporal and geographic parameters. We want to hear from you – what are your ideas and opinions about how we should be defining this new and exciting field of study and what key considerations should be taken on board as we establish and extend the field? Your thoughts will form part of an editorial piece, to be published in issue 2 of the Royal Studies Journal, in June 2015. Please comment on the blog, on the RSN Facebook group, or send an email with your thoughts to royalstudiesjournal@gmail.com. All responses must be received by 25 April 2015, in order to be incorporated into the editorial, however, we will keep the comment sections of the blog open for further discussion after this date.